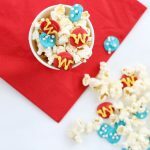 Star Wars snack mix, a fun Stars Wars party food idea. Star Wars snack mix is easy to make and perfect to celebrate the new movie. 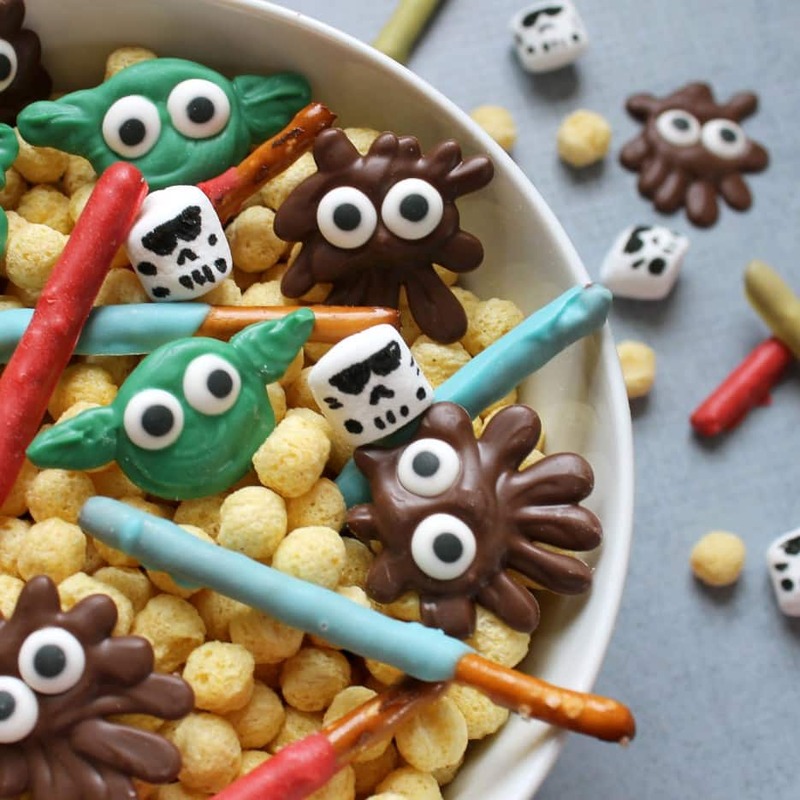 This Star Wars snack mix is a fun Star Wars party food idea. It’s cute and simple to make. 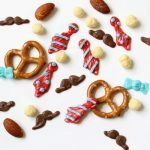 I just discovered I somehow never posted here my favorite snack mix ever. For Star Wars. 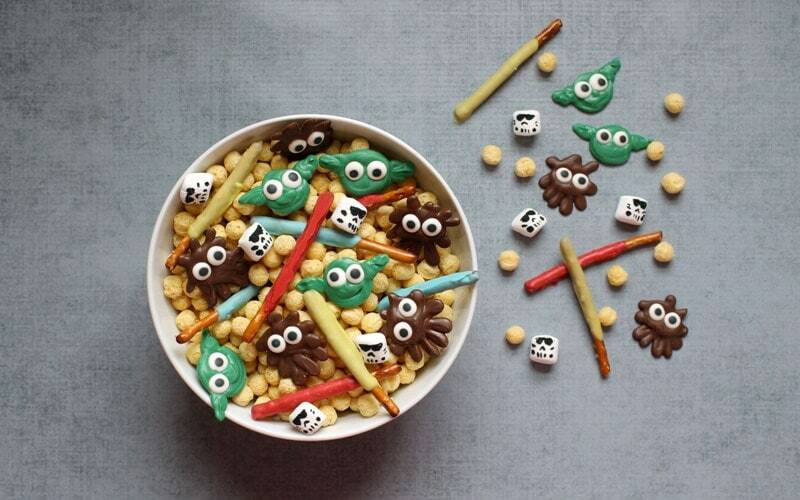 I made this Star Wars snack mix for Kix Cereal. And I love it so much. And I forgot to share it with you. Shame on me. It’s super easy to make. 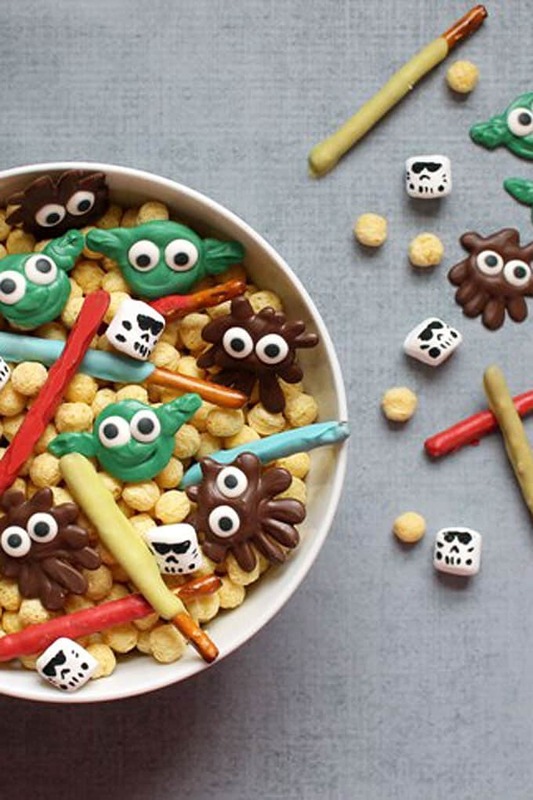 Just combine cereal, fruits, nuts, pretzels, whatever you want with the Star Wars-themed mix-ins. 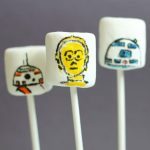 To make the Storm Trooper marshmallows, I used a black edible writer to write on mini marshmallows. 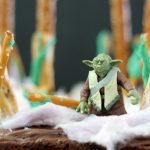 To make the light sabers, I dipped pretzel sticks in different colors of melted candy melts. To make Chewbacca and Yoda, I melted brown and green candy melts in disposable decorating bags, piped their heads on a piece of wax paper and added candy eyes. Let them all set and you’re ready to mix. Find the full how-tos at Kix Cereal.